Reglazing for the hospitality industry is the best way to ensure your fixtures are in premium conditions. In today’s market, people are turning to review sites to read about hotels and motels before they book a room. Guests review everything from customer service to room and bathroom conditions that can be read by anyone. Reglazing is a valuable service to the hospitality industry and can save you up to 80% of replacement costs! Keeping the guest bathrooms in a new condition adds value to the facility, increases the rate of occupancy, and helps maintain optimal room rates over the competition. Start using our refinishing services as part of your total guestroom maintenance program. 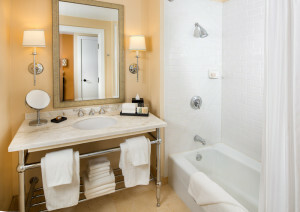 We gladly service any hotel, motel or bed and breakfast bathrooms.